A native of Western Pennsylvania, John Goodman teaches high school English in the Rio Grande Valley. His hobbies include writing, composing music at the piano, and crossing the US-Mexico border for a quick taco. John: The Lord willing, I will continue to pursue the diaconate with the goal of having a teaching ministry, both on Sunday mornings and in my secular work. As a high school English teacher in Texas, I may be permitted to teach Bible survey classes for English/Social Studies credit. In the church, I also plan on using my academic and leadership gifts to help start an Anglican school and plant churches in the Rio Grande Valley. Another part of me is keenly interested in Oriental Orthodoxy. If God allows, I would love to play a role in bringing Anglican and Orthodox Christians closer together. 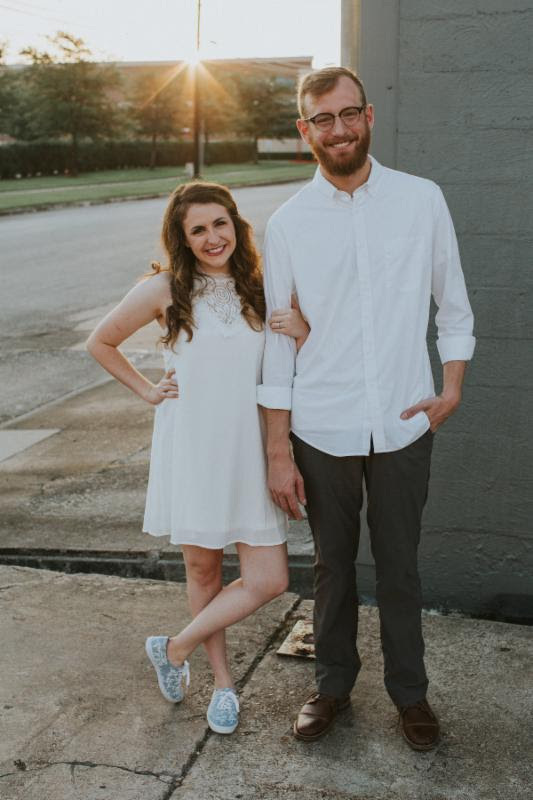 John: When I started discerning whether or not to come to Houston this summer, I was really unsure of my future in terms of seminary (if I should go, where I should go, etc.). Now, I am leaving enrolled at Fuller Texas! I've also widened my network in Anglican circles, which will be important moving forward in ministry. For example, I connected with a priest who directs a classical school in Louisiana; that was certainly a God-ordained appointment given what I feel the Lord is calling me to help bring about in the Valley. John: I imagined the internship would be a good way to work through the ordination checklist, and certainly, that was part of it. But more paramount, it was a time of healing and spiritual growth. My homily on God's guidance was the first one I had given in over five years. Through that opportunity, the Holy Spirit brought past struggles to the surface so I could work through them in a safe, spiritual environment. I experienced healing I didn't even know I needed! John: Pray for my students, many of whom face struggles beyond that of the average American youth. I have a deep burden for them, and when they do well, I do well. Also, pray for God's grace and wisdom as I balance my teaching career, seminary studies, and personal life. Peter Johnston is the Founding Pastor of Trinity Anglican Church in Lafayette, Louisiana. 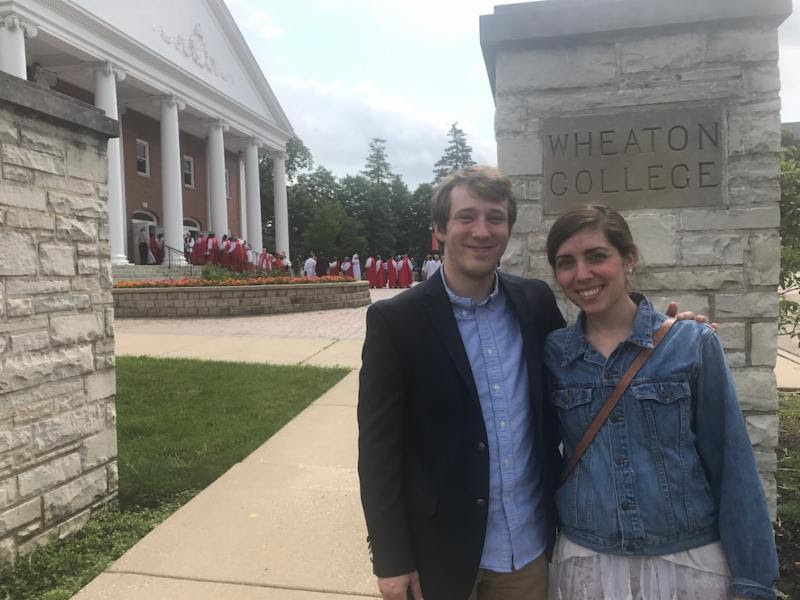 A graduate of Yale College and Yale Divinity School, his pastoral training includes ministry in churches, in schools, to the homeless, in hospitals, and in the military. He is married to Carla, who grew up in Acadiana. They live in Broussard with their daughter Elsie and their son Horatio. We recently asked Fr. Peter, newly ordained as a priest in the Diocese, to tell us about his church planting experience and what he sees for Trinity Anglican-Lafayette for 2017. DWGC: Why did you feel called to plant a church, and specifically, an Anglican church? Fr. Peter: Each Sunday, more than 200 million Americans are not in church, including more than 100 million self-identified Christians. I've long felt a call to church planting in order to help such people renew a relationship with the Lord. Anglicanism is well situated to revitalize churchgoing because it has solid biblical theology, substantial public worship, missionary energy, and international fellowship. At Trinity, our mission is to live the gospel through worship, friendship, and scholarship. DWGC: What has the church planting process looked like for you thus far? Fr. Peter: Trinity Lafayette had four major milestones in the second half of 2016. First, we incorporated in the state of Louisiana, selecting the name "Trinity" so as to emphasize the relationship each Christian can have as children of the Father, friends of the Son Jesus, and temples of the Holy Spirit. Second, we formed a mission partnership with a local Presbyterian church, who have given us space for an office and allow us to use the sanctuary on Sunday mornings at 9AM. Third, Bishop Clark ordained me a Priest and we began Sunday services. Fourth, twenty-eight people signed the "Trinity Covenant," agreeing to join our community through 2017. DWGC: What have you enjoyed about the church planting process? Fr. Peter: It is a privilege to spend time studying the scriptures and learning God's truth. I also enjoy meeting people and learning from them. The deepest joy of church planting, however, comes from recognizing a loss of control. Because the pastor of a church plant has little control over the success of his efforts, he is put into a place of dependence and reliance upon God. As I began to live into this deeper level of faith, I discovered anew the adventure of following God, where each day is exciting, surprising, and full of wonder and awe. DWGC: What are the challenges in church planting where we can support you through prayer? Fr. Peter: Church plants are naturally concerned about growth, especially in Sunday attendance. This can turn into an anxiety which colors the worship of the church. Please pray that as we work for growth we will remember that the Lord builds his house, and take heart that Christ is in the midst of us even when our numbers are few. DWGC: What does 2017 look like for Trinity Anglican-Lafayette? Fr. Peter: In 2017, we will pursue our mission of living the gospel through worship, friendship, and scholarship. In the first few months we are developing our lay leadership and connecting with a local non-profit that supports individuals who seek to rise out of poverty. During Lent we will be sharing in a pattern of daily home devotions, and holding Friday afternoon fish-frys at the church. Throughout the year we will be researching Classical Christians Schools with the thought of starting our own in the coming years. In all we will rely upon our Lord Jesus, receiving him in word and sacrament by the power of the Spirit, sharing in his risen life and the love of God our Father. We find ourselves in a unique and challenging juncture in our lives as a country, as the American church, as residents of both the Kingdom of God, and of the United States. There have been some very good, steadied responses to the specific Executive Orders issued issued over the last week (particularly from our Brothers in Christ and my friends Dr. Ed Stetzer and Bishop Todd Hunter), and if your social media and inbox look anything like mine, you have seen many of these responses already. As some of you are aware, I use this phrase fairly often, so forgive me if you have heard it before, but I have felt strongly over the years that I am "neither a Republican, nor a Democrat, but a monarchist"-- that is, I serve a King and His Kingdom is where my eyes are focused. The rest are just details. Because of this, I try to avoid partisan issues and attempt to keep my focus on His Kingdom come, and I believe that we are entering into a season of renewed focus on His Kingdom. I write to you today as your Bishop, and as your Brother in Christ, journeying alongside you in this eternal Kingdom work. When we pray the Lord's Prayer, we ask "thy Kingdom come, thy will be done, on earth as it is in heaven". When we pray that His Kingdom would come, what we are also asking is that He use us to be a part of that work in bringing the Kingdom of God into our lives, our spheres, our world-- "on earth, as it is in heaven". We are submitting ourselves to His will, and not our own, to say yes to His call, to be light and love in a world that can feel like its getting darker by the moment. Fear flashes before us on our television and computer screens and social media feed. The desire for safety has become preeminent in our country. But our faith believes and knows that our Lord Jesus says "Do not be anxious" (Matthew 6). In the Kingdom of God, as John tells us, "There is no fear in love, but perfect love casts out fear." The way that we are to take part in the breaking-in of the Kingdom of God is through our trust in our God and living out His love which He has placed within us. We believe that safety and love do not need to be separate, as Romans 8 tells us, "For I am sure that neither death nor life, nor angels nor rulers, nor things present nor things to come, nor powers, nor height nor depth, nor anything else in all creation, will be able to separate us from the love of God in Christ Jesus our Lord." It is important and prudent for government to continually assess and ensure the safety of its citizens, make no mistake on my feelings about that. But ultimately, our safety does not come from anything constructed by man, but through our assurance in God's love for us which He has shown through our Lord Jesus. We can not only rest in God's perfect love, but live in that perfect love through our actions. A mark of followers of Jesus is love (John 13:34-35) , and what the Church is being awoken to is a renewed understanding of what it looks like to show the love of God in Christ to the world. The Lord is giving us a unique opportunity to live out what it means to be the body of Christ, each of us serving as a part of the whole (1 Corinthians 12:27), loving those whom we are called to love-- those close to God's heart. We do not require public policies to tell us who to love. Scripture is clear that the poor, the orphan, the widow, and the stranger are close to the heart of God. Regardless of policy, let us, as a family known as diocese, not only pray "thy Kingdom come", but heed the call embedded in the Kingdom coming: to be the hands and feet of Jesus, to play a part in the ushering in of His Kingdom. It is my responsibility and I join Archbishop Foley and all my brother bishops to call us all to pray as individuals, families, and congregations about what it might look like to reexamine our understanding of our place in ushering in the Kingdom through His love, remembering that we love lavishly because of the love that was first shown to us. We, too, were strangers, poor in spirit and far from God, and in His mercy saved through the blood of Jesus Christ our Lord. As John tells us in 1 John 3:18, "let us not love with words or speech but with actions and in truth." If you are looking for examples of what those actions of love might look like, below you will find some links to helpful resources. The Anglican Relief and Development has recommended that we give to programs that bring hope and transformation to refugees around the world. Support and serve resettling immigrants through the Anglican Immigrant Initiative. Make a decision as a church to embrace refugees/immigrants, welcome them, and get them started here in the United States. 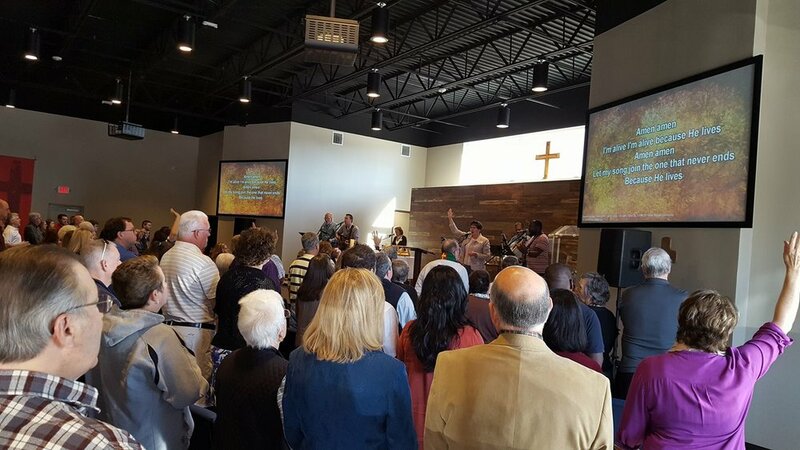 Grace Anglican Community in Katy, Texas, moved into their new space at 24968 Katy Ranch Rd on January 22, 2017. After worshipping in a school for four years, Grace Anglican is grateful to utilize their new building to serve the Lord. Father Bob Henson said the 22nd was "a great day of celebration". See photos below of the first worship service, as well as the consecration of the building on January 29th with Bishop Clark Lowenfield. More information about Grace Anglican Community may be found at www.graceanglicankaty.com/. In early January, many of us from HopePointe enjoyed our first Family Life Retreat. The aim of this weekend was to reflect broadly on God’s purposes both within our families, as well as for others through our families. Opening the Bible together, we considered the call on every family to raise its children in the love and knowledge of God. However, we recognized our churches have often neglected to communicate this and instead allowed parents to hand over this responsibility to clergy and youth leaders. Together we dreamed what it could look like for parents to reclaim this role and assume their place as the leaders in a child’s faith development. Discipleship can happen both inside families and through them, though, so we also examined God’s longing to serve others through mobilizing parents and children to serve Jesus together. Aside from the teaching, the retreat was an excellent opportunity to get away, with many members getting the chance to meet for the first time. Through games, a bonfire, hayride, and worship, we had plenty of chances to grow in our love of another, as well as the Lord Jesus. We have much to learn here regarding family ministry, but if you would like to hear more about what we’ve been learning, or share any ideas with us, please contact me at bryan@hopepointe.org. opePointe hosted its second annual Christmas in the Woods on the evening of December 11th. Christmas in the Woods is HopePointe's Christmas outreach ministry event, based on the tradition of Advent Lessons and Carols, with "some" adjusting. In order for Christmas in the Woods to be more accessible to those outside the Church, there is a mixture of Advent and Christmas lessons and carols, telling the story of the Messiah coming into the world, beginning with the Fall and concluding with the adoration of the shepherds. It was a glorious night, and we give thanks to God for His goodness in it all! The music was the combined efforts of the Woodlands Boys Choir and the HopePointe Choir, with percussion, violin, cello, and trumpet. It was a joy to see some of our St. Timothy's brothers and sisters sharing in this ministry, a wonderful picture of diocesan collaboration and shared mission. Tableaus depicting scenes of The Fall, The Prophet Isaiah, The Annunciation, The Nativity, and the Adoration of the Shepherds appeared throughout the evening. A tableau is a depiction of a scene presented by silent and motionless costumed participants. With a scrim and special lighting, tableaus appear to be paintings. Following the music and tableaus, Bishop Clark powerfully shared the gospel message. HopePointe had been praying in the weeks leading up to this event for all those who would be there who did not yet know Jesus, that they would encounter Him through the music, the lessons, the art, the tableaus, the message, the fellowship, or in whatever ways our Lord chose to reveal Himself. In closing, as we all stood and sang "O Come All Ye Faithful," the Holy Spirit was tangibly present, the glory of the Lord filling the sanctuary. His joy continued as we all congregated in the Atrium, drinking wassail, eating cookies, and basking in the good news that our Savior has indeed come into the world!